Take a look at some of the unique architectural marvels of the world. 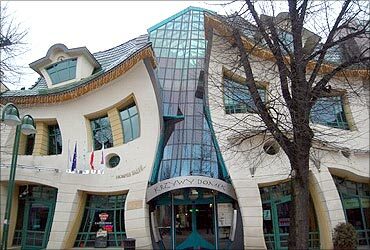 The Krzywy Domek (Crooked House) is an irregularly-shaped building in Sopot, Poland. Built in 2004, it is part of the Rezydent shopping centre. Designed by the famous Austrian architect, Friedensreich Hundertwasser, the splendid Forest Spiral is located in Darmstadt, Germany. The structure with 12 floors has 105 apartments. The rooftop garden has beech, maple, and lime trees and a restaurant. 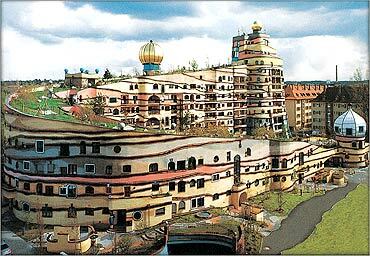 Hundertwasser died in February 2000, before the building was completed. Image: Forest Spiral- Hundertwasser Building. The giant egg sculptures are the biggest attraction here. 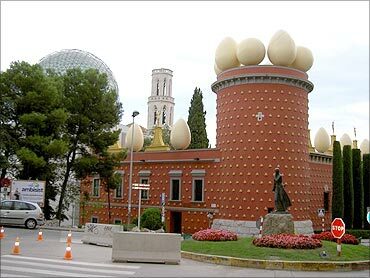 The Salvador Dali Theatre Museum in Figuerasis is named after Dali's wife. Dali lived there till his death in 1989. 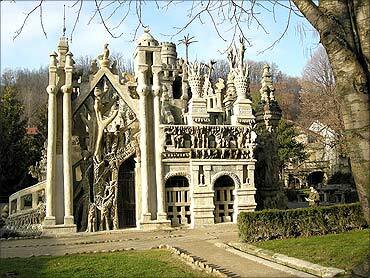 An amazing architectural wonder, it was built by a postman, Ferdinand Cheval. The French postman spent thirty-three years building this ideal palace. It is said that he tripped on a stone and was inspired by its shape. He returned to the same spot and started collecting stones for the building. 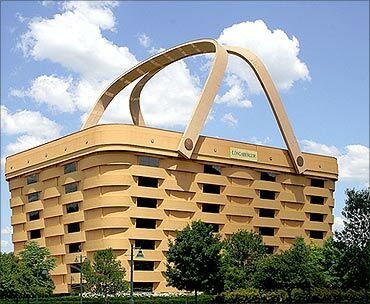 This is certainly the world's largest basket. The seven-storey corporate headquarters of the Longaberger Basket Company is an amazing 180,000-square-foot building, a replica of the company's famous market basket. Built at a cost of $30 million, it was completed in two years. The Kansas City Public Library stands out with its unique semblance to books. Kansas City has many architectural wonders. Image: Kansas City Public Library. WonderWorks is an amusement park for the mind combining education and entertainment with over 100 hands-on exhibits. 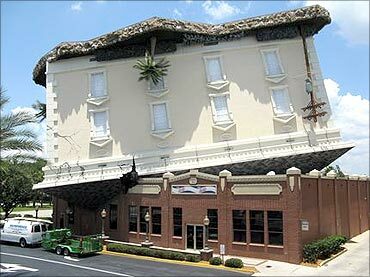 The most striking aspect is how the building looks as if it has landed upside-down. The inversion tunnel has been designed to realign orientation so that you can defy gravity and play with all the exhibits and experiments. 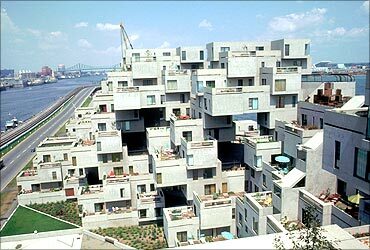 Habitat 67 is a housing complex and landmark located on the Marc-Drouin Quay on the Saint Lawrence River in Quebec, Canada. Designed by architect Moshe Safdie, it is based on his master's thesis at McGill University. 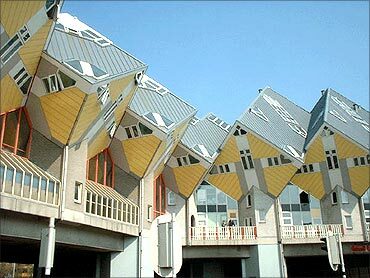 Kubuswoningen, or cube houses, are a set of innovative houses built in Rotterdam and Helmond in The Netherlands. Designed by architect Piet Blom in 1984, he tilted the cube of a conventional house to 45 degrees, and placed it on a hexagon-shaped pylon. 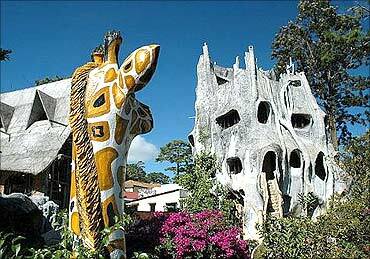 Known as the 'Crazy House' it is an unconventional building designed and constructed by Vietnamese architect Dang Viet Nga. The building's overall design resembles a giant tree, with a sculptured design element representing natural forms such as animals, mushrooms, spider webs and caves. 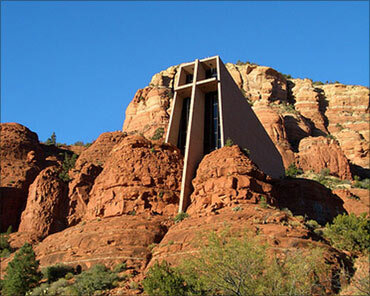 Designed by Marguerite Brunswig Staude, a student of Frank Lloyd Wright, the Chapel of the Holy Cross. Completed in 1956, it attracts a large number of tourists. Image: Chapel in the Rock. 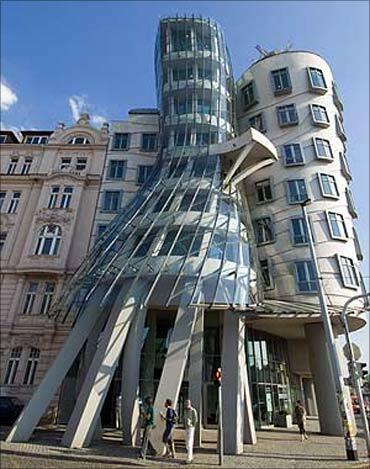 Designed by Croatian-Czech architect Vlado Milunic, the Dancing Building was completed in 1996. It has a roof-top restaurant and the several multinational firms. The building resembles a washing machine. 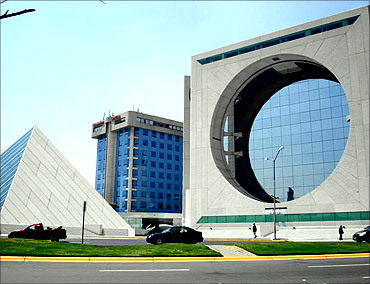 Santa Fe in Mexico stands out with its extraordinary architecture developed in the early 1990's. 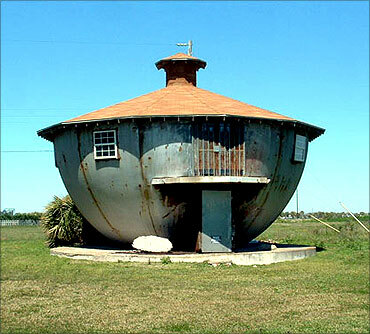 The Kettle House is a unique structure. It was built in the 1950′s. The Manchester Civil Justice Centre is a building houses the Manchester County Court and the Manchester District Registry of the High Court, as well as Manchester City Magistrates' Family Courts, the District Probate Registry and the Regional and Area Offices of the Court Service. 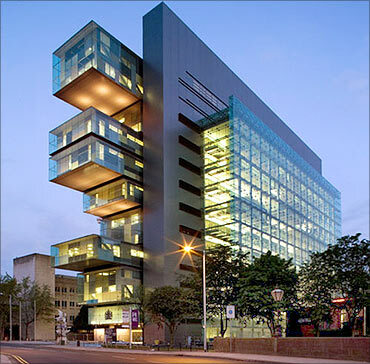 It was designed by Australian architects Denton Corker Marshall with engineers Mott MacDonald. Image: Manchester Civil Justice Centre. 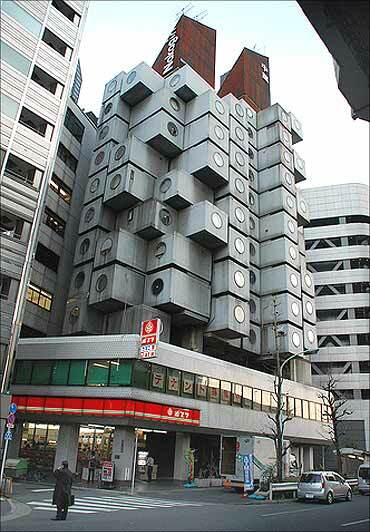 The Nakagin Capsule Tower houses both residential and office designed by architect Kisho Kurokawa and located in Shimbashi, Tokyo, Japan. This exceptional capsule architecture was completed in 1972. 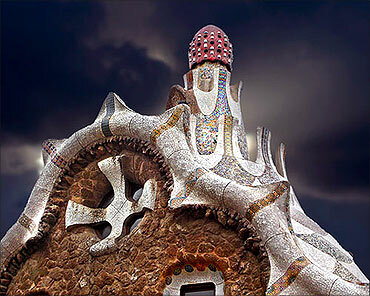 A fairytale building, it is considered to be in the list of the top 10 creative buildings of the world. The house has three floors and an attic. 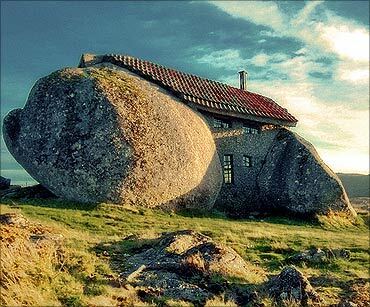 This stunning house, inspired by the Flintstones cartoons, was constructed between two giant stones on the hillside of Fafe mountains in Portugal. Its unusual design attracts many tourists from all over the world. 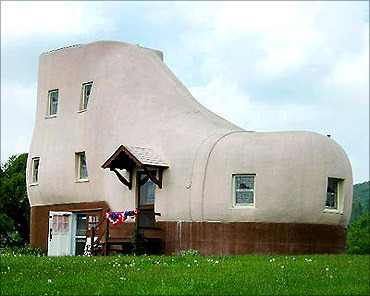 The Haines Shoe House is a shoe-shaped house in Hallam, Pennsylvania. Built by shoe salesman Mahlon Haines in 1948 as a form of advertisement, the house, which is 25 feet tall has five storeys. 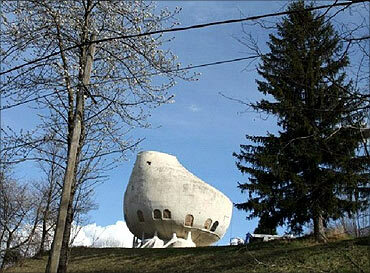 This weird house in the Alps looks strangely like a hospital bedpan. 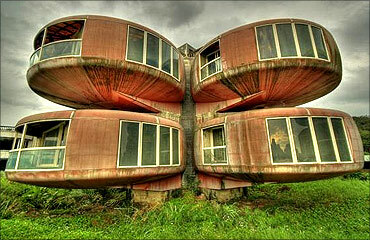 This bizarre looking building in Sanjhih is actually an abandoned resort project. The extra-terrestrial design makes it an attractive sight. 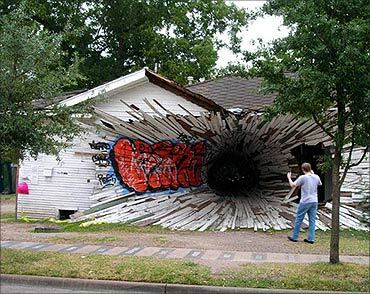 The Hole House in Texas is an exceptional art work. 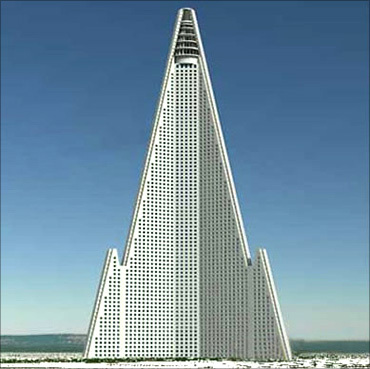 The Ryugyong Hotel is a 105-storey skyscraper in North Korea. The pyramid-shaped building has a 75-degree slope. At a height of 330 metres (1,080 ft), it is most prominent feature of Pyongyang's skyline. The National Library has a stunning led display that shines at night. The 23-storey library is designed in the form of a rhombicuboctahedron (diamond). 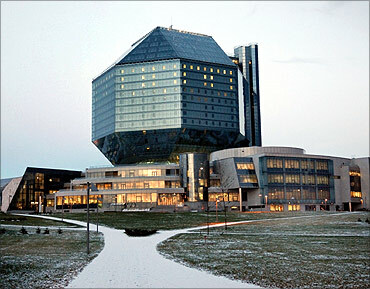 Designed by architects Victor Kramarenko and Michael Vinogradov, the building is covered with glass panels. During the day, all 24 sides glitter like a diamond. The tallest building in Macau has been designed by Hong Kong architects Dennis Lau and Ng Chun Man. This is a 58-floor, 856 feet-tall hotel in Macau. 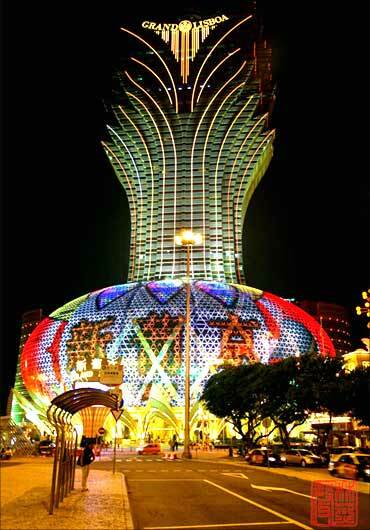 The casino and restaurants within Grand Lisboa were opened on February 11, 2007, while the hotel was opened in December 2008.